Many of our artists use native Kentucky woods such as black walnut, cherry, maple and red and white oak. Others incorporate other woods into their work. Sometimes "spalted" wood is used, especially in turned pieces. Spalting occurs as a reaction to fungi, stress, or disease when the tree is still living and creates beautiful colors and patterns. Enjoy these remarkable pieces from Kentucky's finest woodworkers. The very finest bourbon is called small batch or single batch bourbon. One of Kentucky's most talented blacksmiths has created a line called Small Batch Bourbon Furniture. All the pieces in this series are made from reclaimed bourbon staves. 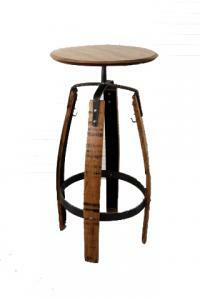 The newest addition is the Small Batch Bourbon Stool. With beautifully aged white oak bourbon staves and a frame made from hand forged steel, you will not find a more unique and comfortable stool. Replaceable glides attached to the feet will protect the floor. Made in Lawrenceburg, KY. Measures 17" x 17" x 41.75" and CAN be shipped via UPS. The artist that created this rocking chair carved the "mule ears" for each arm. When sitting in the chair, your fingers naturally fit into the spaces between the "ears." The handwoven seat is made from strips of native hickory, the strongest seat material. The artist guarantees the seat to last a lifetime. 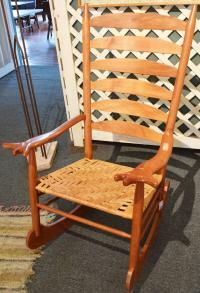 He said hickory is what the settlers in the Appalachian Mountains used when they first moved in through the Cumberland Gap, and it proved to be the best material for seats. size: 22" x 27" x 51"
When an old black walnut tree fell on his farm, the woodworker knew he wanted to give this tree new life as beautiful pieces of furniture. The signature piece is this table, made from two large slabs of walnut. Sanded and finished with a light coat of varnish, the true beauty of the wood shines through. 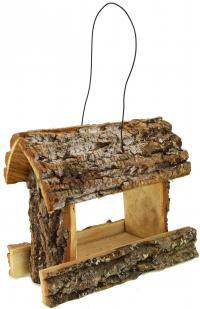 The base is made from pieces of the same tree and finished in a sturdy primative style. size: 60" x 32" x 40"
Sip some of Kentucky's finest bourbon at this amazing table. Made from bourbon barrel staves and lids by a local blacksmith, this table has many unique details. The metal was hand forged and fastened with aesthetics as well as function in mind. Measures 22" x 22" x 42.5" This can be shipped via UPS in the continental US. A perfect seat for two on this beautiful solid walnut settee handmade in the mountains of Eastern Kentucky. Native Kentucky black walnut is shaved by hand using drawknives and spokeshaves. The back is steamed to shape before the settee is put together. The artist always adds his signature "mule ears" to the end of each arm, making for a very comfortable experience. The settee seat is from a solid piece of Black Walnut edged with the natural bark. A remarkable piece of work that will last for generations. Walnut settee measures: 38" x 52" x 24"
We're sorry, but this item is not shippable. 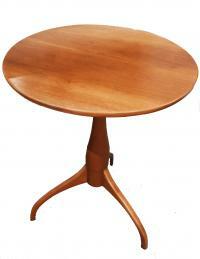 This lovely cherry table was turned on a lathe by one of Kentucky's most talented furniture makers. Using a style developed by the Shaker community of Kentucky, this table has a hand rubbed fiinish, just like the Shakers used. size: 18" x 18" x 25"
This handsome fellow will brighten your day. Chickens and roosters - essential for farm life - are traditional themes for folk art, and this one is handmade in Eastern Kentucky. The artist grows a variety of gourds to use in his work. 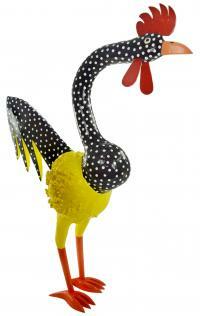 This rooster is a combination of gourds and hand carved wood. Each chicken is unique, but all share the same whimsy and high quality workmanship. Measures: 20" wide, 24" high and 9" deep. This bowl is made from one piece of spaulted maple. The artist uses a lathe to remove the excess wood and after sanding uses a food safe finish. "Spaulted" is the term for any changes in the look of the wood as the tree fended off insect and disease. Spaulted maple is both very strong and beautiful. Each piece is unique. size: 13" x 13" x 6"
This gorgeous bowl combines the best in design and function. 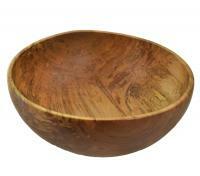 It is the perfect salad bowl that can also be displayed and enjoyed throughout the year. It is hand-turned in London, KY and was handcrafted from carefully selected Kentucky native woods. 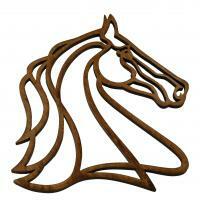 This intricately cut wood art epitomizes the Kentucky love of horses. Free and unfettered, this champion would grace home or office with ease. Beautifully framed and ready to gallop straight onto your nearest wall. Bourbon and checkers unite! This handcrafted table features bourbon stave legs and a checkerboard barrel top, perfect for porch-sitting family gatherings. Don't miss this unique addition to your family traditions. Hand-cut twig checker pieces are included. This lovely bubinga and walnut wine stand holds one bottle and four glasses, perfect for that intimate dinner party or dining room piece. The bottle is housed safely on cork inlay and the walnut tray is removable to pass around those tasty munchies! 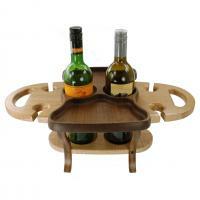 This bottle stand is a must for your next wine and cheese party or wedding gift! Wine glasses can be included for an additional $10. Please specify that in the Comments section of your order. 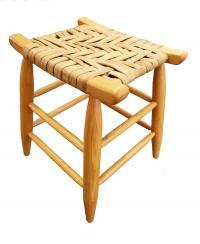 The perfect companion to the harmony bench, this stool provides a wonderful compliment to any décor. Maple seat with walnut legs. This is a must for the new couple or to celebrate many years together. It will become an instant heirloom and will be used at family dinners for years to come. Gather around the table and enjoy this hand-turned cherry bowl made in Elkhorn, KY. 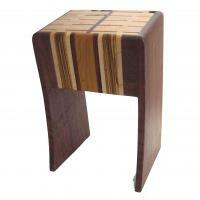 This lovely stool is made of native Kentucky black cherry which will age beautifully. The woodworker has woven the seat from local hickory. He guarntees the seat will last 100 years! This is a traditional technique the the settlers in the Appalachian Mountains to ensure their chairs and stool seats would not break. size: 16' x 12" x 18"
Don't mess with this Mama! 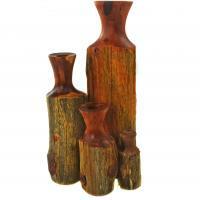 Handcarved from local Kentucky woods, this trio is a great example of traditional Kentucky folk art. The babies are hanging from their mother's tail, but can be placed next to her. A very talented Eastern Kentucky couple made this family, he does the carving and she paints. Measures: 15" long, 4" wide and 6" high. This lovely wine stand available in native and exotic hardwoods holds two bottles and four glasses, perfect for that intimate dinner party or dining room piece. Shown in maple/walnut. The bottles are housed safely on cork inlays and the walnut tray is removable to pass around those tasty munchies! 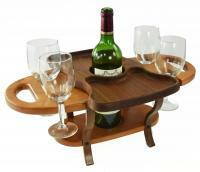 This bottle stand is a must for your next wine and cheese party or wedding gift! 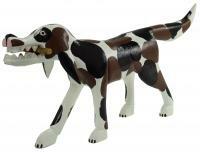 Hand carved from local woods, "Fetch" is always ready to play. Folk art is an Eastern Kentucky tradition and this piece was made by a very talented husband and wife. He carves and she paints and together they make amazing work. Measures 10" x 18" x 6"
Newly re-designed by student Ashley Elder to compliment the Berea Basket and other related items, this handcrafted, cherry piece is perfect for your periodicals and other reading materials. Each mountain man is carved by hand in Harrodsburg, KY. Just like "real" mountain men, each one is totally unique and has its own personality! These are made in a range of sizes and prices and can also be special ordered to fit your needs. We generally have several different "men" in stock and will let you know of any price variations before completing the sale. Crafted from a variety of native hardwoods from KY and beyond. These blocks hold 19 knives of assorted sizes as well as your kitchen shears and sharpening rod. Each is made by hand and is one of a kind. The wood color and width with vary slightly within each unique piece, but the size and slot count will remain the same. The perfect addition to any kitchen! Styles vary from the photo. 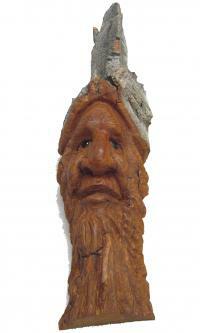 size: 12" x 7" x 7"
These KY wood spirits will bless your home with whimsy and charm. Each one is crafted from native KY hardwoods that have been collected by the artist. The collection of woods speak to him and the spirits emerge slowly from each. They are much like the nymphs they symbolize, in that each is one of a kind and reflects the natural characteristics of the wood selected. The size and price will vary slightly with each new arrival of spirits. We will let you know of any price variations before completing your sale. "Live edge" is used when a piece of wood retains it bark. Often these pieces have a non straight edge where the outer edge of the tree was. This woodworker found the piece so unique that he left the live edge to show how the pattern radiated from that side of the tree. This board can be used for serving (cheese??) or as a cutting board. Wash by hand with soapy water, do not soak or put in dishwasher. 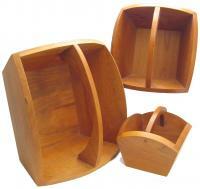 size: 7" x 1" x 16"
These baskets are inspired by the East, but are made in true KY Shaker style. Handcrafted from native cherry hardwood in Versailles, KY. There are three sizes available, and they make a great set too! Please specify size in the Comments section of your order. Depicting our lovely state of Kentucky and one of Kentucky's favorite critters, looking all cute and wobbly this wood cutting will steal your heart. Perfect for your horse lover, state lover or anyone at all! This sweet wood cutting is the ideal gift for all kinds of "Beginnings" from wedding to graduation. Yes, we have horses in Kentucky! Traditional folk art reflects every day life in the country. This horse is made by an Eastern Kentucky couple that use their surroundings for their inspiration. As is typical of folk art, a feature is often exaggerated. In this case, it's the arched neck. 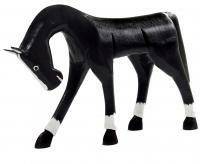 Carved from local Kentucky woods, these horses are available in two sizes. This one is the larger size. This oval lidded box is hand-crafted of cherry (also available in walnut with cherry inlay) with a single running horse inlayed in black walnut. The contrast is stunning and this piece will be enjoyed for its functionality and its fine craftsmanship. This makes a great gift for anyone in the family or for your next keynote speaker. It captures the true spirit of KY.
Also available with a double horse inlay for $99. Please specify inlay and wood type in the Comments sections of your order. oval dimensions: 9" x 5.5" x 2"
Every home needs its own KY Santa!! 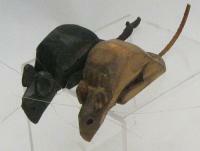 These are hand-carved from found felled trees. Each is one of a kind and just perfect for the holidays, and for every day! They are made from KY native hardwoods and have been collected by the artist. 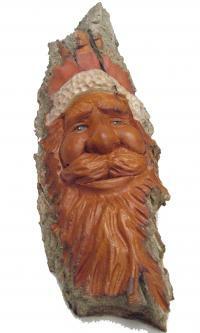 The characteristics of the natural wood pieces shine through each Santa's smile. The sizes and prices will vary slightly according to the wood selected by the artist. We will let you know of any price variations once ordered. 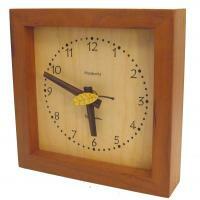 This is a lovely clock that can sit flat on the shelf or hang on the wall. Its clean design makes it a great fit for both contemporary and classic decor. Notice the sweet second hand detail is a falling, pale yellow leaf; a reminder from where the materials came that were used to build the piece itself. What a nice touch. size: 7.5" x 2" x 7.5"
We'll bet that the person who has everything doesn't have one of these!! A perfect little piece of Kentucky, handcrafted from Kentucky hardwoods. This is the perfect accent to any desk or bookcase especially for the one in your life who loves horses. Made in Louisville, KY. This is a fantastic little tool first used by native Eskimo peoples of North America. It can be used to quickly chop herbs as well as meats. The curved blade is very ergonomic and saves precious time in the kitchen while the beautiful native hardwoods add beauty to the work at hand. 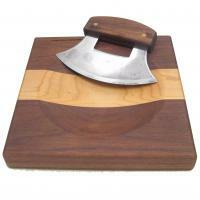 The ulu board is the perfect gift for the new cook just getting started or the experienced chef who "has everything". 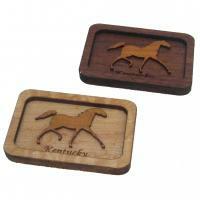 size: 8" x 8" x 1"
Kentucky - the Bluegrass State, but actually made from re-claimed oak. We're really proud of this emerging artist who makes work during his breaks from college using found wood. Available in three sizes, please specify which size you want in the Comments section and we will adjust the charge when processing your credit card. Shown is small size. These unique handcrafted keeping boxes are made from black walnut, cherry, maple and red oak in Louisville, Kentucky. . The carved horse swivels to reveal the secret compartment. With a hand rubbed finish, this box is sure to be a unique and beautiful addition to any horse lover's desk. This lazy Susan is made in Berea, KY and is one of our most popular items. Available in black walnut (shown here), cherry, or spalted maple, it is sure to be the perfect accessory for every kitchen or dining table. The spinning mechanism is super smooth as is the finish of the wood. This makes a wonderful wedding gift that will last a lifetime. Please specify wood preference in the Comments section of your order. size: 3" x 14" x 14"
This collection of Kentucky Weed Pot dry vases is perfect for any home. Made from reclaimed cedar fencepost, these beautifully organic vases are perfect for candles or dried flowers (please don't water this former tree!). Each vase is unique and has different planes and knots, some even boasting moss from their former lives. * Please specify in the Comments section at checkout which individual vases you want to purchase. We will adjust the total before your card is charged. This two - toned ladle is made from native Kentucky hardwoods including, cherry, walnut, maple and oak. Pictured is a cherry with a walnut handle. Made by a former fine furniture maker, each has exceptional quality and detail (note the handle). Beautifully designed and even more beautifully finished, this ladle will last a lifetime. size: 3" x 2" x 14"
This colorful acrylic and pen mixed media piece is perfect for any room in your home! Painted on wood, the "canvas" is durable enough for steamy bathrooms or sweltering kitchen. 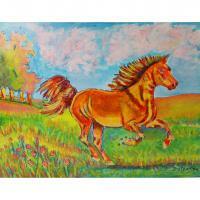 This bright landscape will capture the heart of any horse lover. This rolling pin will make you feel like a pro! 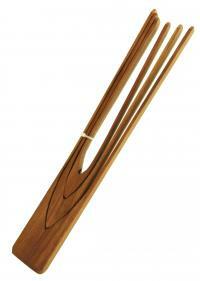 It is handcrafted from maple with a black walnut inlay and is soft as silk to the touch. It will make some delicious biscuits and pie crusts for sure and will last a lifetime. Hand wash with warm soapy water and towel dry. Use mineral oil if needed. Also available in black walnut with a maple inlay. size: 15" x 2" x 2"
Traditional folk art reflects every day life in the country. This horse is made by an Eastern Kentucky couple that use their surroundings for their inspiration. 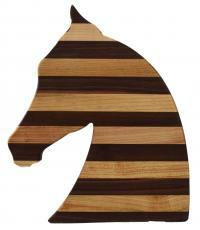 Carved from local Kentucky woods, these horses are available in two sizes. This one is the smaller size. size: 7.5" x 5.5" x 1.5"
What a special gift for your special occasion... a hand-crafted wooden cake knife & server set. These pieces are made by a local wood carver living in Berea, KY. They are primarily native KY hard woods, but sometimes also include some exotic woods for a beautiful contrast in color. 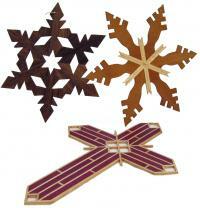 They are available in a variety of colors and can be made of the same woods or each can be different. Please specify inn the Comments section of your order if you have any special color requests. 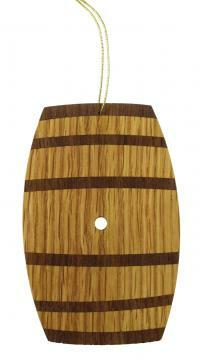 Perfect for serving, as well as chopping, this board is made from native Kentucky wood. Each board varies, but all use combinations of walnut, maple, cherry and oak. These boards are made by a wonderful mountain man in Eastern Kentucky. Available in two sizes: Large will be sent unless specified in comments section at checkout. Credit card will be processed using correct price if you select small. small: $33.00 12" x 10" x 1"
large: $43.00 15" x 12" x 1"
Perfect for serving as well as chopping, this board is made from native Kentucky woods. Each board varies and may contain a combination of walnut, maple, cherry and oak. These boards are made by a kind and generous mountain man in Eastern Kentucky. Please specify small or large in Comments section of your order, otherwise the large size will be sent. small: $22.00 12" x 6" x 1"
medium: $33.00 15" x 7" x 1"
large: $43.00 20" x 9" x 1"
Show your own KY "Unbridled Spirit" with these beautifully crafted bookends. 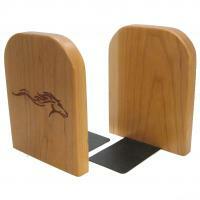 Perfect for the home or office, they are made from cherry or maple and will last a lifetime. They also make great gifts for key note speakers and board members. Sold as a set of two. size: 7" x 5.5" x 5"
A great box with a hinged lid makes the perfect gift for speakers at your next conference, your staff, or your niece Brenna, who LOVES the Bluegrass state! It is handcrafted using several different types of wood from KY. The resulting pattern is unique and beautiful. Great for holding spare change, your favorite candy, rings, keepsakes, even your dreams! size approx: 3" x 4" x 5"
A great box with a hinged lid makes the perfect gift for speakers at your next conference, your staff, or your uncle Harry! It is handcrafted using several different types of wood from KY. The resulting pattern is unique and beautiful. Great for holding spare change, your favorite candy, rings, keepsakes, even your dreams! This lovely wood cut trivet is great for kitchen use or as a decorative wall piece. A great addition to any horse lover's home. 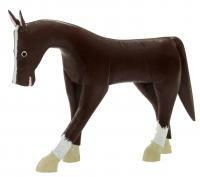 Available in several styles of horse head, please contact us for additional information. Fire & Ice is a fantasy in wood, made of icy white holly and fiery red Bloodwood. 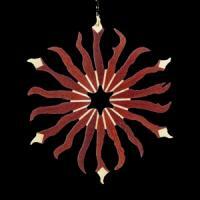 Sixty-six individual pieces are separately cut and fit together to create this "hot" ornament. This piece will instantly become your family's heirloom to pass down through generations. The natural woods are finished with clear acrylic over shellac. size approx: 4" in diameter. This ornament is sure to become an instant family heirloom - shared and passed down for generations to come. Each ornament is meticulously hand-crafted in Louisville, KY and will add a distinctive beauty to every tree it graces. These are sure to become instant family heirlooms and shared and passed down for generations to come. Each snowflake is meticulously handcrafted in Louisville, KY and will add a distinctive beauty to every tree it graces. There are several styles available and are priced $25 and $35. Please specify which snowflake you prefer. This collection of Kentucky handcrafted cherry cooling racks is perfect for any home. * Please specify in the Comments section at Checkout which individual racks you want to purchase. We will adjust the total before your card is charged. This lovely wooden horse sits atop the state of Kentucky and reminds everyone who sees it that you were in Thoroughbred country! These make wonderful speaker gifts for men and women alike and look great in the home or office. size: 5" x 6" x 3"
These are so gorgeous you may be tempted not to use it... but don't be. They are made to be used! You can keep one side clean for serving and use the other side for cutting...and then you get two pieces for the price of one! These are crafted using KY native hardwoods and are built to last. They are available in several sizes and prices. Made from native yellow poplar, this bird feeder is both beautiful and functional. Designed for ground feeding birds, it can hold a surprising amount of feed. Safe for birds (no chemicals) this Kentucky feeder will welcome your feathered friends for years to come. Made in the Appalachian mountains near the Red River Gorge, KY.
size: 9" x 10" x 6"
Handcrafted in Frenchburg, KY, these are one of our most popular items in the whole store! They are beautiful and functional too and make a great gift for the bird-lover in your life. They also make a lovely decorative piece for your bookshelf or mantle. 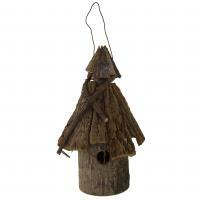 size approx: 18" x 8" x 8"
Made from native yellow poplar, this birdhouse is both beautiful and functional. Safe for birds (no chemicals) and with a base that opens for easy clean out, this Kentucky hut will welcome your feathered friends for years to come. Made in the Appalacian mountains near the Red River Gorge. .size: 14" tall by 8" in diameter. 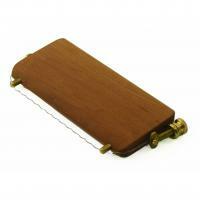 This clever cheese slicer is designed to fit well in the hand and cut easily through cheese. Handcrafted by a woodworker in Louisiville. Shown in cherry, but also available in black walnut. Please specify your preference in the Comments section during checkout. size: 6" x 2.75" x 1/4"
This ornament is sure to become an instant family heirloom - shared and passed down for generations to come. Each ornament is meticulously handcrafted in Louisville, KY and will add a distinctive beauty to every tree it graces. 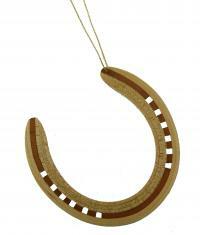 This Kentucky state ornament is made of 24 pieces of native KY hardwoods. This ornament is sure to become an instant family heirloom - shared and passed down for generations to come. Each ornament is meticulously handcrafted in Louisville, KY and will add a distinctive beauty to every tree it graces. 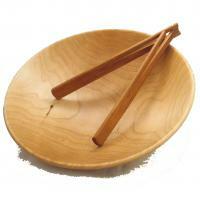 Finely crafted from native and exotic woods, this piece is perfect for serving deep cakes and sloppy pies. The woodworker that made this server used to make fine furniture. Look closely and you will see the wood joints, curved handle and velvet finish he uses on all his pieces. size:15" x 3" x 1"
We LOVE this little box too! It is just the right size to hold and display your business cards on your desk, and it is adorned with our favorite... the state of KY. 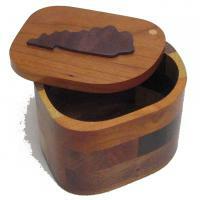 It is handcrafted using a variety of KY woods, creating a lovely horizontal pattern. Just perfect for speaker gifts or staff appreciation. Also makes a nice gift for the new executive! size: 2" x 3" x 5"
We LOVE this little box too! It is just the right size to hold and display your business cards on your desk, and it is adorned with our favorite... the horse. 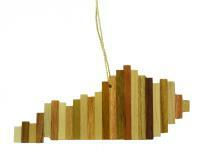 It is handcrafted using a variety of KY woods, creating a lovely horizontal pattern. Just perfect for speaker gifts or staff appreciation. Also makes a nice gift for the new executive! Do you have yucky brown lettuce? Well, this artist has a solution to your problem! This handcrafted lettuce knife is made of native cherry with a black walnut handle. 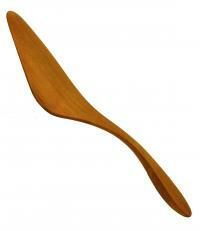 When using this beautiful wooden knife it won't crush your lettuce leaving it brown and withered. Shown here in a beautiful, hand-turned maple bowl, these tongs are uniquely Kentucky! 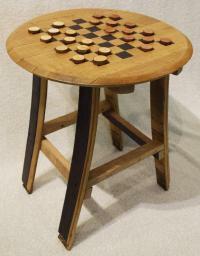 They are made from a variety of KY hardwoods including, cherry, black walnut and maple. What makes these unique??? Well, they fold flat to fit easily in the smallest of kitchen drawers and open by flipping backward to create the "spring". These are simply perfect for salads, veggies, even dogs on the grill. size: 11" x 1.5" x 1"
This is an amazing invention; leave it to a French chef to figure this out. With this two ended spoon, the cook can taste during preparation while keeping the "stirring" spoon sterile. As the hot sauce (or soup or gravy or . . . well, you get the idea) travels down to the "tasting" end, it cools enough for a quick slurp. Carved by hand on the edge of the Cumberland Plateau from native cherry, this spoon will not only be a conversation piece, but also prove itself invaluable to the cook. 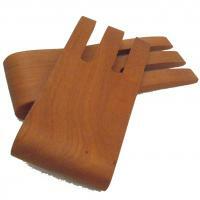 size: 13" x 2" x 1"
Carved from local cherry, these salad paddles will toss any salad, no matter the size. The Eastern Kentucky woodworker who carved these paddles created a curve in the handle so they are very comfortable to use and well balanced. size: 14" x 4" x .5"
We LOVE this little box, just the right size to hold and display your business cards on your desk. 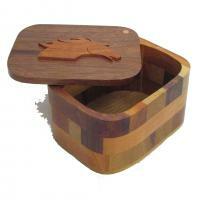 It is hand crafted using a variety of KY woods, creating a lovely horizontal pattern. Just perfect for speaker gifts or staff appreciation. Also makes a nice gift for the new executive! Also available with the state of KY or the horse design on the front for $23. These nesting tongs are cut from a single piece of native cherry in Eastern Kentucky. The three sizes are perfect for a variety of uses. Handcrafted by a woodworker in the Appalacian Mountains, they can be cleaned with just soap and water. size: 14" x 3" x 1"
This business card holder is handcrafted from black walnut and is etched with "Kentucky". It is a great souvenir from your home state and also makes a nice gift for your co-worker or boss. We can even engrave these with your company logo or your boss's last name... talk about brownie points!!! 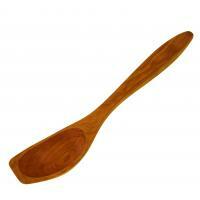 size: 6.5" x 2" x 1/2"
This beautiful cherry chili spoon is superb for stirring any of your sizzling soups. 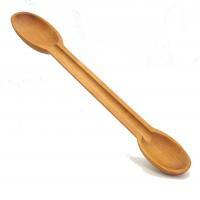 A must for any gourmet kitchen and a perfect gift for that beginning chef, this spoon is great to have on hand. Non-stick and Teflon safe, don't be a spoon-in-the-mud and make sure you're soup ready! Made in Pine Knot, KY. Grab all the salad you can with these wooden salad hands! These "handy" utensils are made in Berea by one of our favorite craftsmen. They are just the right size for any salad bowl and are made of cherry. 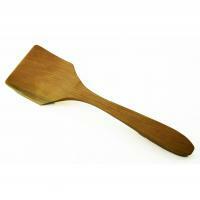 This lovely spatula was carved by an Eastern Kentucky woodworker. Note the natural curve making this easy to use as well as beautiful. 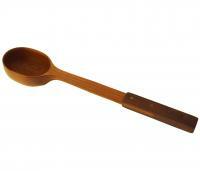 One of the many hand made wooden utensils that Completely Kentucky carries. 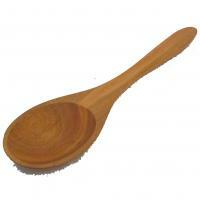 size: 13.5" x 2.5" x .5"
This lovely cherry spoon is great as a gift for yourself! Completes any gourmet kitchen and can safely be used with non-stick surfaces. These utensils can be used for years! Food safe, simply treat with mineral oil as needed. Egg-ervated by that melting plastic spatula? This handcrafted egg spatula is made from KY native cherry wood and might be just the protein preserver you've been looking for. Safe with non-stick surfaces, this spatula isn't just for eggs, but it might unscramble your brain anyway! Looking for that perfect ladle? You found it! 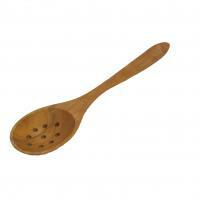 This versatile cherry ladle works great for all your cooking and will last years. Just what any Kentucky cook needs! AND, like all wooden utensils, the handle will never get hot! size: 11.5" x 2.5" x 2"
Our Kentucky woodworkers are very skilled, but also very practical. The design of this solid cherry spatula makes flipping flapjacks easy. With just enough curve in the handle, the spatula fits flat on the pan. The best part? No scratches and no heated handle. size: 10" x 3" x .5"
This hand carved mixing spoon is great for a multitude of uses in the kitchen, not to mention... it is beautiful! Smooth as silk, this ergonomic design will please the new cook and the experienced chef alike! size: 11" x 3" x 1"
Handcrafted from cherry, this pie server is designed to fit comfortably in your LEFT hand. Yes, this woodworker has created both right and left handed servers. 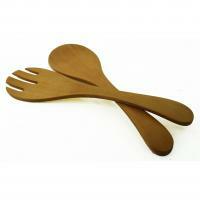 Great also for cake, spoonbread, and other serving needs, you'll find not only very versatile but beautiful as well. Please specify either right or left handed style in the comments section during checkout. size: 13.5" x 3.25" x 2"
This beautiful handcrafted cherry candy spatula is perfect as a gift or for your own kitchen. Handcrafted and easy to keep, hand wash and dry and apply mineral oil as needed to increase the longevity of this piece. Perfect for trying out Grandma's super-secret candy recipes. 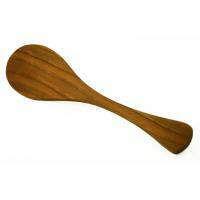 Carved with comfort and ease of use in mind, this solid cherry pie server is a very handy tool. Of course you could use it to serve many other items including lasagna, casseroles, spoon bread and .... well, you get the idea. Pictured is the right handed server, if you'd like a left handed server, please note that in the Comments section when checking out. 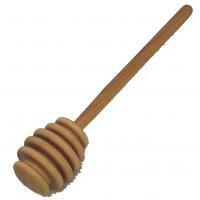 Spurtle definition: a stick used to stir porridge. This spurtle makes the fluffiest oats you've ever had. Great to have around the kitchen, and also a great conversation starter for parties! Everyone will welcome these cute little mice into their homes! Hand carved by a KY folk artist from Owensboro, each one is unique and full of love. Sold separately, this is sure to add something special to your shelf. Scrape every bit of batter or icing from the bowl with this handy tool. Carved from native Kentucky cherry, the handle fits comfortably in the hand. It is lightweight yet strong. Treat with mineral oil if wood becomes dry. size: 11" x 2" x 1/4"
Ok, maybe you don't paddle your rice, but this handy tool will do much more. Made in Eastern Kentucky from native cherry, the paddle can be used as a spreader, server, and when not in use will look beautiful hanging in your kitchen. 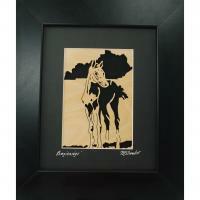 A lovely KY souvenir, this magnet is handcrafted using contrasting woods. Designs available include cardinal (the KY state bird) or the horse. The result is a classy gift and great for the small budget! 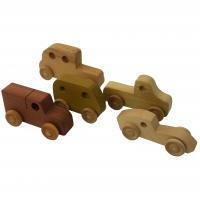 size: 2.5" x 2" x .25"
Enjoy a blast from the past with a wooden toy car. Each is handcrafted from native KY woods and is built to last. Perfect for the toddler in your life, or grandpa who wants a new sports car!! Sold individually, in a variety of colors and styles. Made in Anderson County, KY.
Got books? 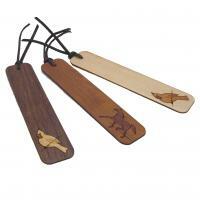 Well then, you should also have one of these KY bookmarks; look closely, this bookmark is made from a thin slice of native KY hardwoods, including cherry and black walnut with a contrasting inlay design. Available in several KY-inspired designs including running horse, cardinal, dogwood flower and running horse with "Kentucky". Please let is know if you have a preference in the Comments section of your order. These make great staff appreciation gifts too! A truly genius invention from a brilliant Kentuckian. Ok, Ok, we don't really know who invented this handy little tool, but it sure is nice to use when baking in the oven to keep from burning through your pot holders! Handcrafted from cherry, it will probably last longer than your oven!! size: 10.5" x 2" x 1/4"
This is the perfect little compliment to the honey jar for the tea lover (or biscuit lover) in your life. Add a jar of local honey and you have the perfect gift! This swirl is made in Berea, KY by a master wood-worker who has been working with wood for more than twenty years. For the friend who has everything bourbon, their collection simply must include the bourbon barrel BUNG magnet. The bung is the plug in the side of the oak barrel in which the bourbon is stored. 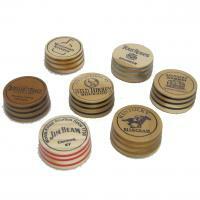 These are stamped with the names and logos of Kentucky's finest distilleries. 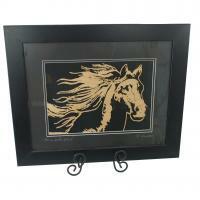 We also have several with horses depicted on them as well. Inventory on this item varies and we will do our best to provide a mixed selection for your purchase! size: 2" x 2" x 1"